Douglas Taurel powerfully brings home the impact of war on the people who live it day in and day out. He plays each character with passion, nuance and heart. 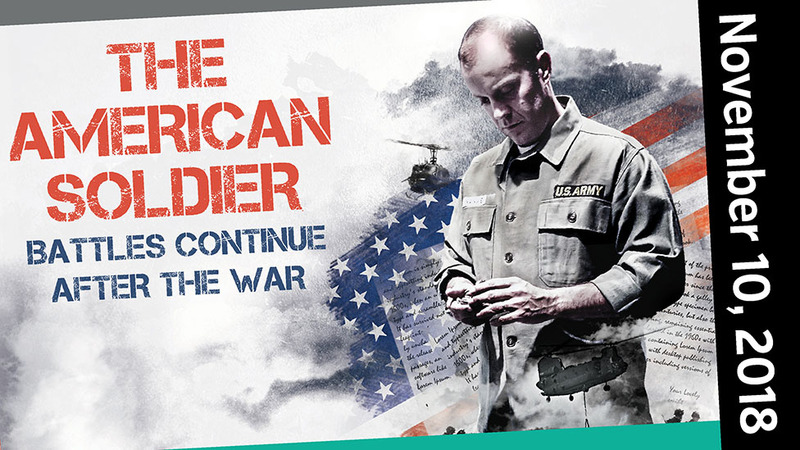 The American Soldier is a solo show that reveals the struggles American soldiers face at war and their internal struggles to come back home. Based on real stories and accounts from soldiers� letters written from the American Revolution through current day Afghanistan. This show strives to help us understand how and why it is so difficult for men and women in the armed services to re-enter our pedestrian life when they come home. It honors and exposes their flaws, their scars, their families and spirits with both humor and darkness. The American Soldier has been nominated for an Amnesty International Award for theatre excellence, received 4 stars at the Edinburgh Festival Fringe, been featured in The Huffington Post, The Washington Post and Time Out to name a few and performed at The Kennedy Center during inauguration weekend at the Library of Congress on Veterans day of 2017. It has been touring across the country for the past two and half years, including New York, Texas, Connecticut, Virginia, Kansas, New Jersey and recently performed again Off Broadway.